The Chanthaburi Gemological Laboratory Co. Ltd. (GLC) is an independent gems laboratory in Chanthaburi gems market, Thailand. We are graduated gemologists from Gemological Institute of America (GIA), Asian Institute of Gemological Science (AIGS) and the faculty of gems, Burapha University. The GLC aim is to serve the gems market with the academic knowledge and research results to identify the gemstone. The result in the certificate is based on the scientific properties of the stone by the experience gemologist. 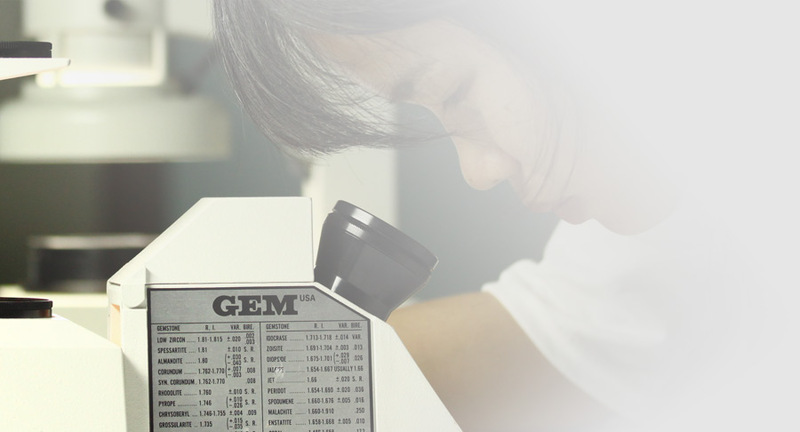 Chanthaburi Gemological Laboratory Co., Ltd. 19/4 Srichan Road, Watmai,A.Muang, Chanthaburi 22000 Thailand. Tel: +66 (0) 888 392860 email: info@glclab.com PO. Box: 108 Chanthaburi Post office 22000 Thailand. Copyright © 2011 glclab.com. All Rights Reserved.